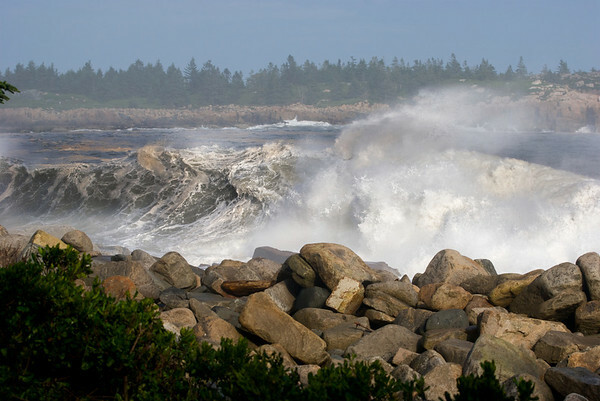 A few snapshots of our walk out the Schoodic Peninsula and back (7 miles round-trip total) to see waves created by Hurricane Bill. The hurricane was several hundred miles away. There was no wind here on this day. 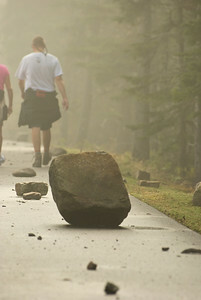 Rocks thrown from the far side of the road. 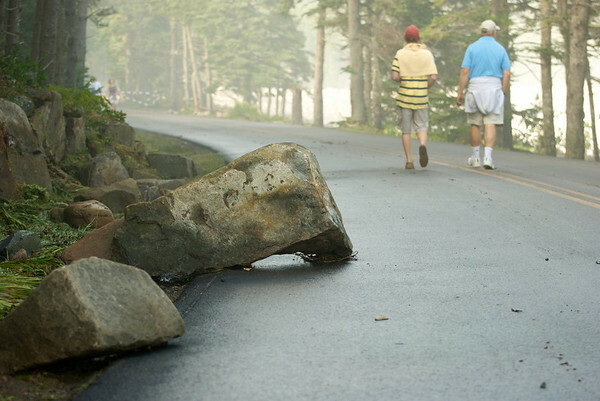 Another rock thrown, by the force of water, across the road. 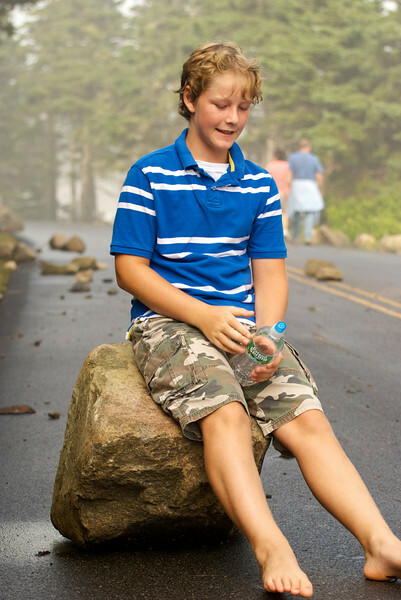 Ten year-old sitting on a rock tossed by the waves. 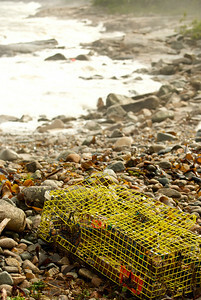 A lobster trap far from its intended location. 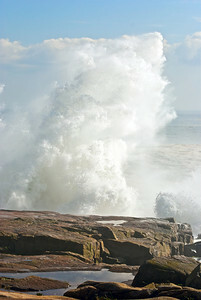 Sea spray shooting up 50 or 60 feet. The red dot in the upper-left is a lobster buoy. 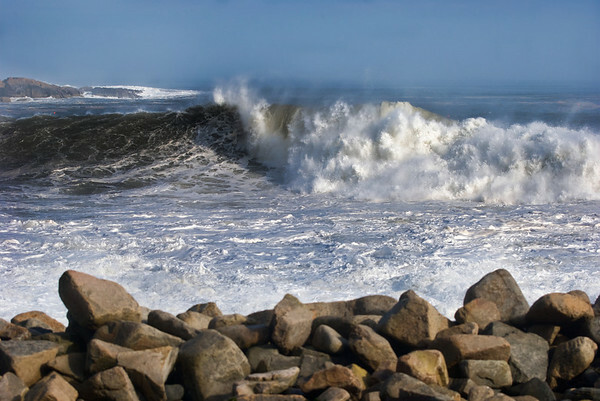 These waves were created by Hurricane Bill, but that storm is several hundred miles away. The local air was almost completely still (it was hot, so we were grateful for any air movement when it happened, but it didn't amount to a real breeze). 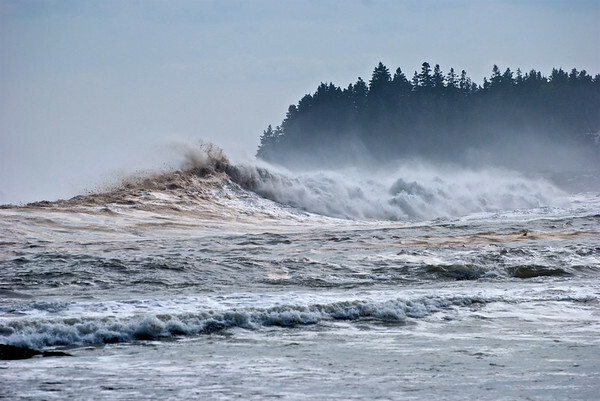 Consequently, all of the sea spray you see is created from the motion of the water. 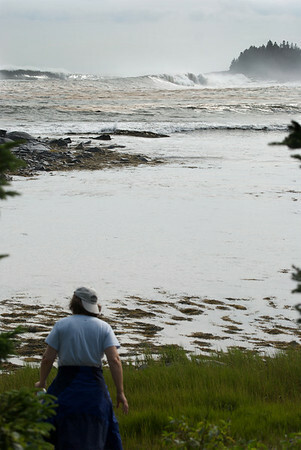 Taken from the parking lot using zoom at 70 mm (widest setting, approx 105mm equivalent). 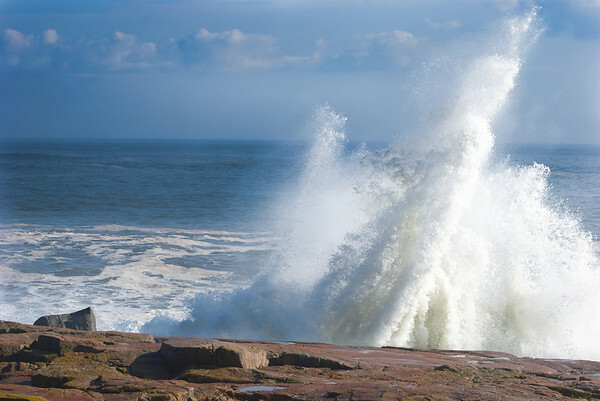 This image is not cropped, so that gives you some idea of the height involved (wouldn't risk putting a person in the photo for scale, even if the park rangers had permitted it - which they didn't). 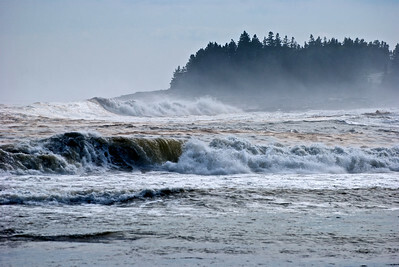 The biggest surges were just white in my viewfinder. 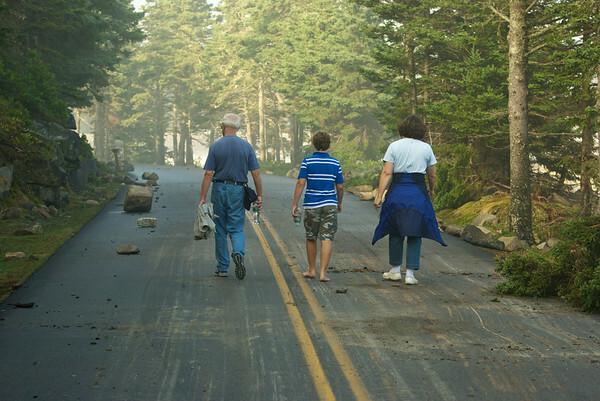 Schoodic Peninsula after Hurricane Bill. That point of land is at least a mile away. 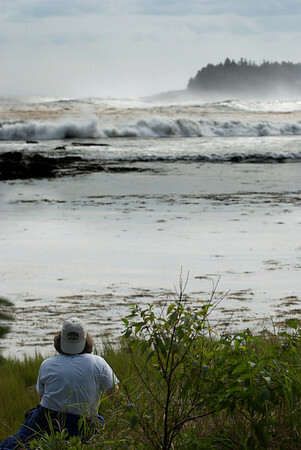 The near cove was well protected, so almost no water movement. 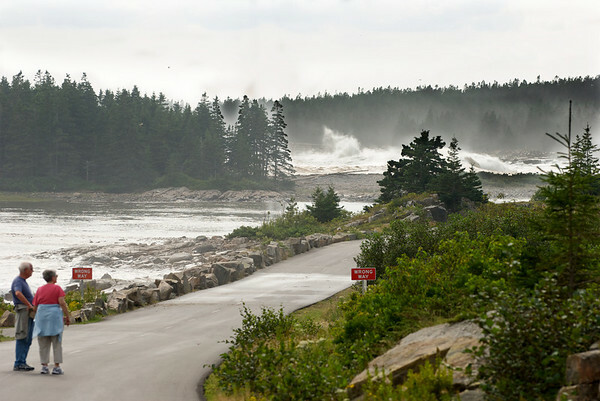 The far cove (almost a mile away) has big waves crashing in (about midway, and another just behind and to the right of the set of trees above the right-most "Wrong Way" sign). photos by Bruce Jordan ©2005-2018, all rights reserved.